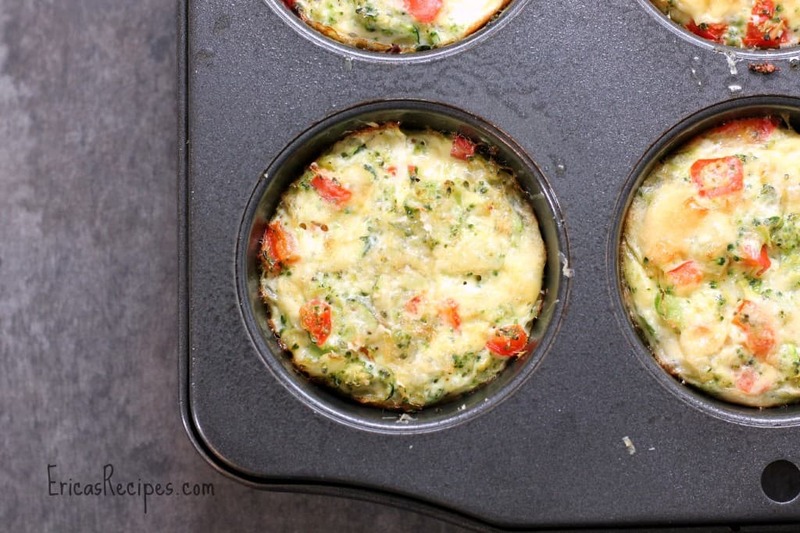 Little, individual Veggie Frittatas that are so easy to make and can be made in advance to eat for breakfast or snack through the week. And here I go. Starting tomorrow. New Year’s resolutions. No, I didn’t start this past week because who starts anything on a Wednesday? But tomorrow’s Monday and I’m out of excuses. And I will have one of these for breakfast. 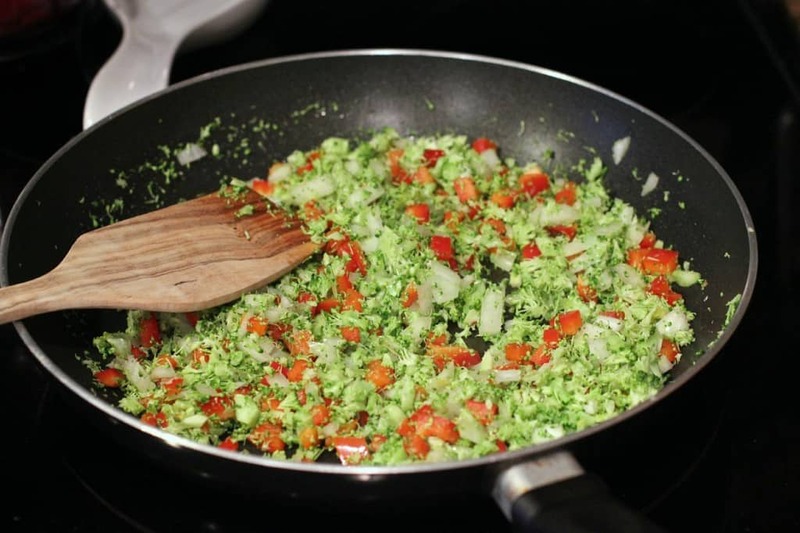 In a large nonstick skillet sprayed with cooking spray, add the broccoli, onion, garlic, and red bell pepper. Season with a pinch salt (to encourage the veggies to soften) and cook on medium-high heat until veggies are just a little softened (~5 minutes). Remove from the heat and toss in the zucchini. In a medium mixing bowl, add the 3 whole eggs and 3 egg whites, salt, pepper, and Old Bay seasoning and beat well with a fork. Spray 6 muffin tins with cooking spray. 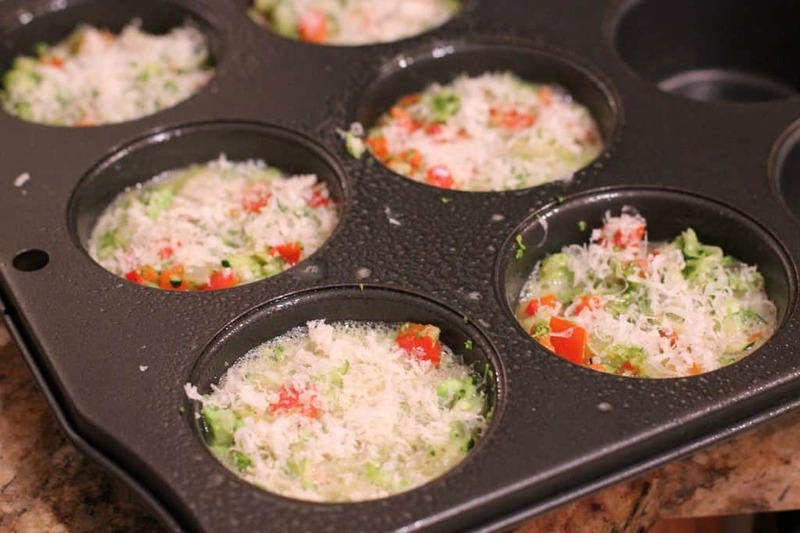 Divide the veggie mixture evenly between the muffin tins. Pour the egg mixture over the veggies (using a measuring cup to pour helps). Top each frittata with 1 t parmesan. Bake at 350F for 15-20 minutes or until frittatas are puffed, golden, and set. Serve as is or I serve in a toasted whole wheat English muffin with 1/2 t Dijon mustard. Yields 6 servings. This sounds delicious. It’s perfect for a quick breakfast in the morning. Healthy and tasty, good luck with the fresh start! Love eggs and veggies! Looks like a great recipe. Thanks for LIKING my fun, too! If you like hats, I’m showing a lot of my collection this month and have posted a few over the past two weeks. Can these be frozen or how long will they last in the fridge? 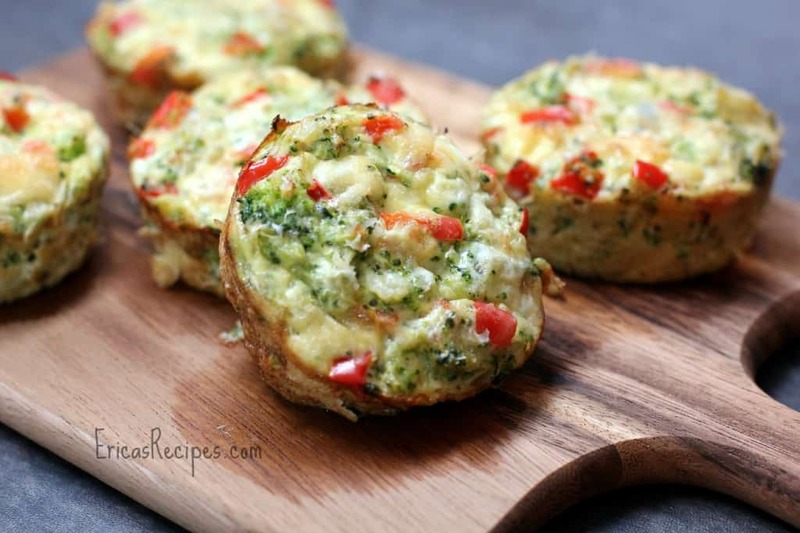 Veggie frittatas. How yummy! I’m not much of a breakfast person, but I think I can make them ahead of time.